AboitizPower - PRISM Energy Inc. WELCOME TO PRISM ENERGY INC.
PRISM Energy, Inc. is a Philippine Retail Electricity Supplier (RES), jointly owned by the AboitizPower Corporation (AP) (60%) and Vivant Corporation (40%), primarily existing to serve all the power needs for contestable customers within Cebu province. Formally organized on March 24, 2009 and licensed by the Energy Regulatory Commission (ERC) on May 22, 2012, PRISM heavily relies on the consolidated administration, technical, human resource, and customer service expertise of AP and Vivant, both major and active players in today’s Philippine power industry, in pursuing its goal as the premier retail electricity supplier for its pre-identified market, as well as planned expansions in the Visayas region. We provide integrated customer solutions that are guaranteed to outperform other suppliers on the market. We are committed to reducing our carbon footprint throuh our patented, ISO-certificate technology. We provide world-class service to industrial, commercial, and electric utility customers. We provide you, our energy partners, competitive energy products that cater to your current and future power requirements. MORE than 3,800 families in Agusan del Sur and North Cotabato who were affected by the flood last January received relief packages from Aboitiz Power Corporation (AboitizPower) and Aboitiz Foundation Inc. (AFI) in partnership with Agusan del Sur Electric Cooperative (ASELCO) and Cotabato Electric Cooperative (COTELCO-PPALMA). 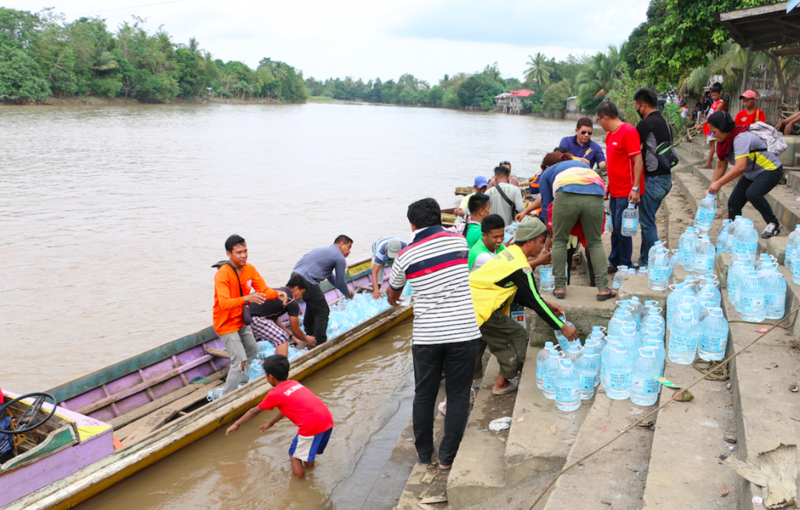 AboitizPower, together with ASELCO and COTELCO-PPALMA officials and volunteers from the local government units, delivered around 4,000 relief packages to flood victims in La Paz, Agusan del Sur on Feb. 1 and in Pikit, North Cotabato on Feb. 4. The relief packages contained canned goods, instant noodles, two kilos of rice, two packs of biscuits, and four liters of potable water. At least 200 houses were washed out and destroyed by the flash flood on Jan. 17, 2017 in La Paz, Agusan del Sur.